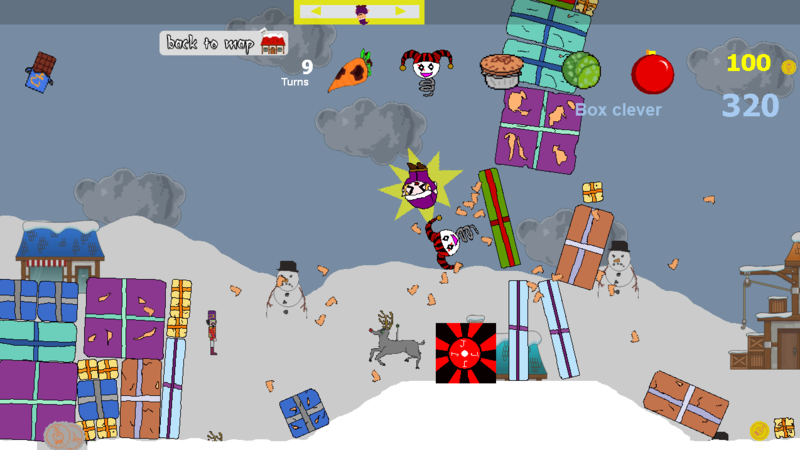 Angry birds meets Worms meets a big pile of screaming. 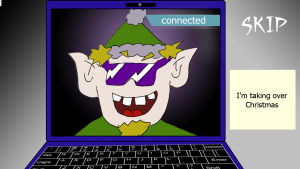 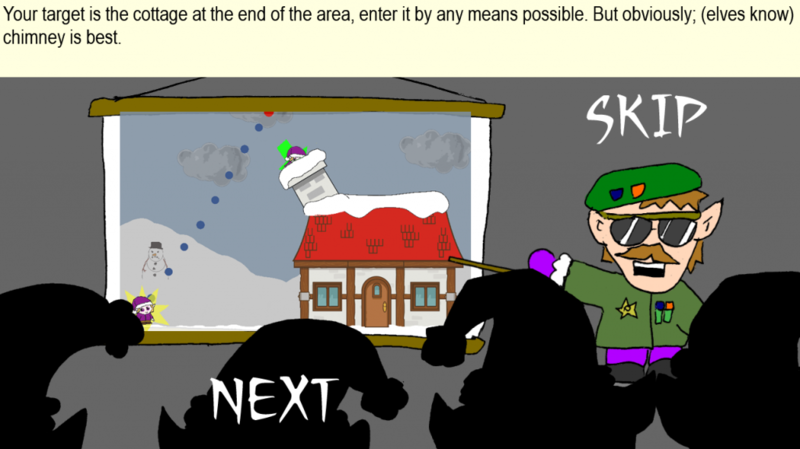 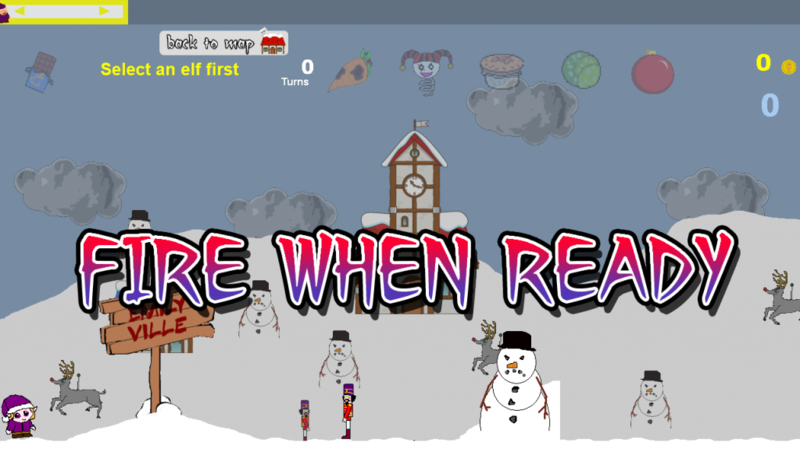 Select and fire your elves through the villages to search for Santa. 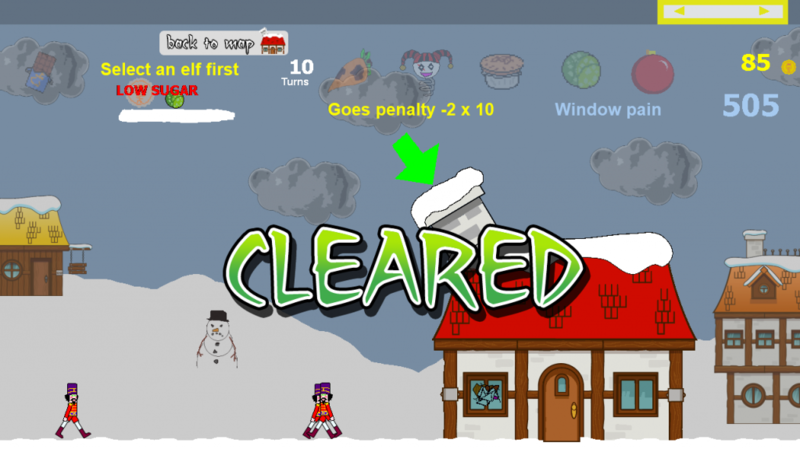 Game design and all levels were made by young people 7-15yrs at Impact Gamers in Bradford using Clickteam Fusion. 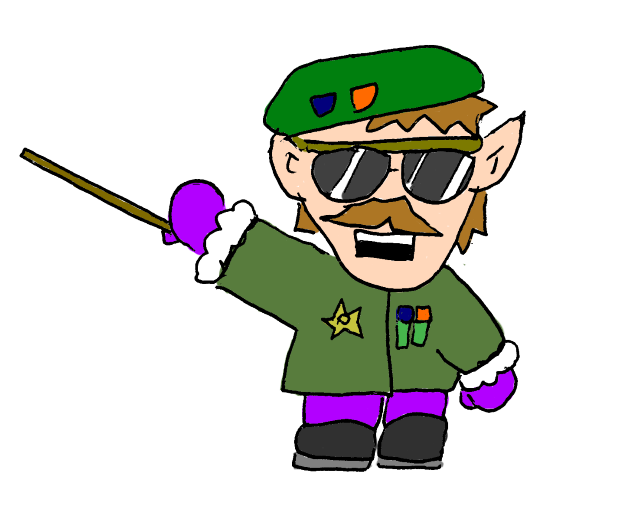 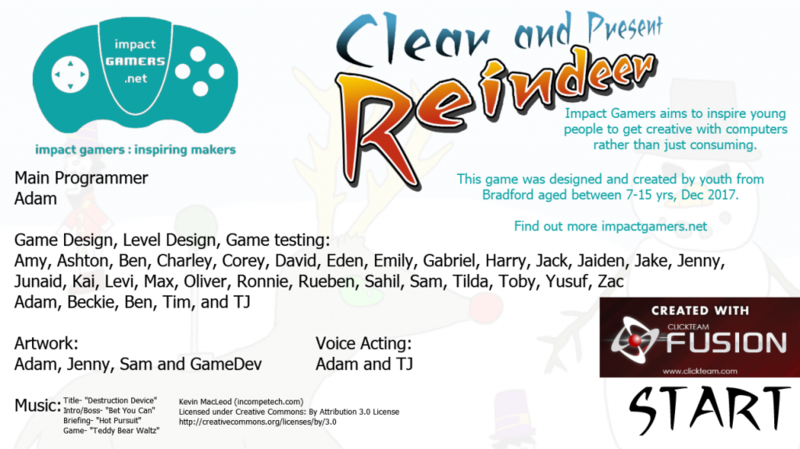 Our most ambitious game, made over 6 weeks and involving all current 27 students, play Clear and Present Reindeer, and save Christmas…well next Christmas anyway.